Doren Damico tells how her screams were shunned, silenced and sequestered by society, and how she chose to cultivate compassion in a riotous world. An honest look at the corrupt epidemic of smoking, and many challenges faced by women. 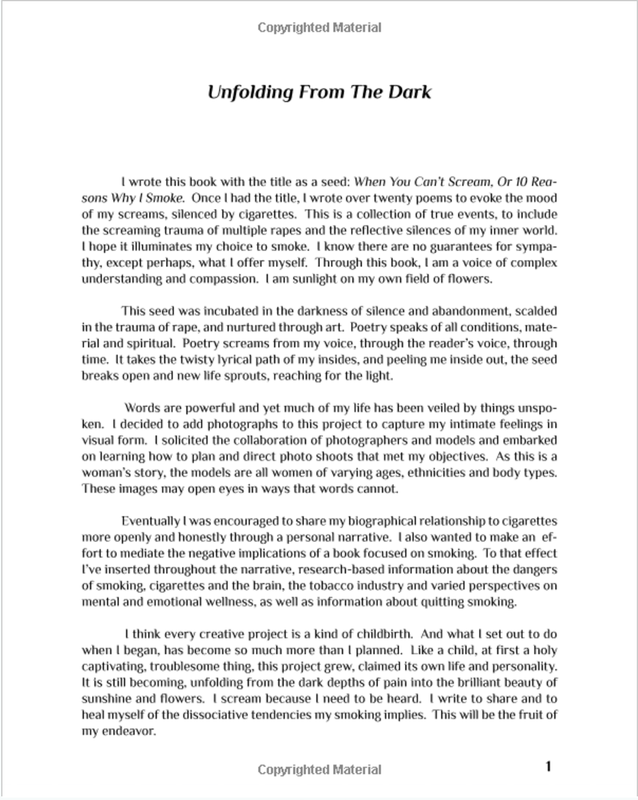 Poetry, photographs of women and an intimate narrative about trauma and healing. 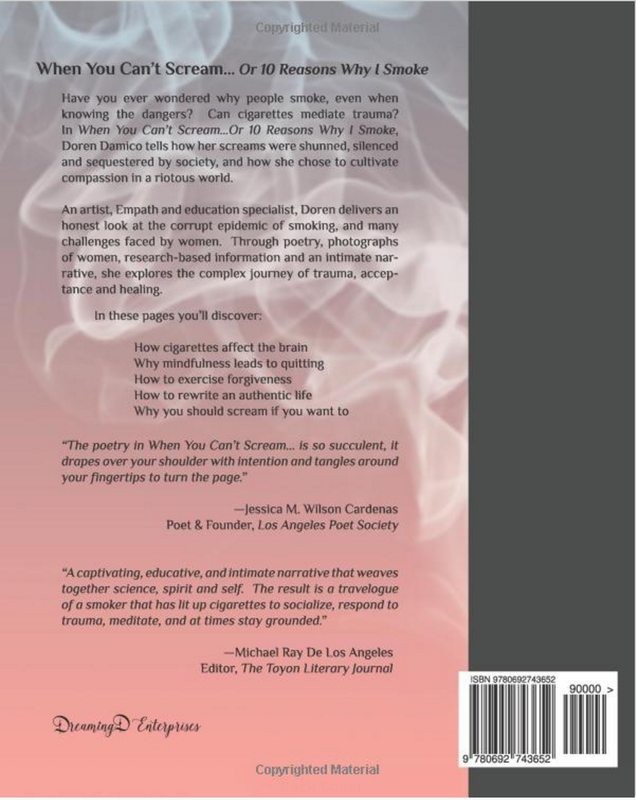 – How cigarettes affect the brain. 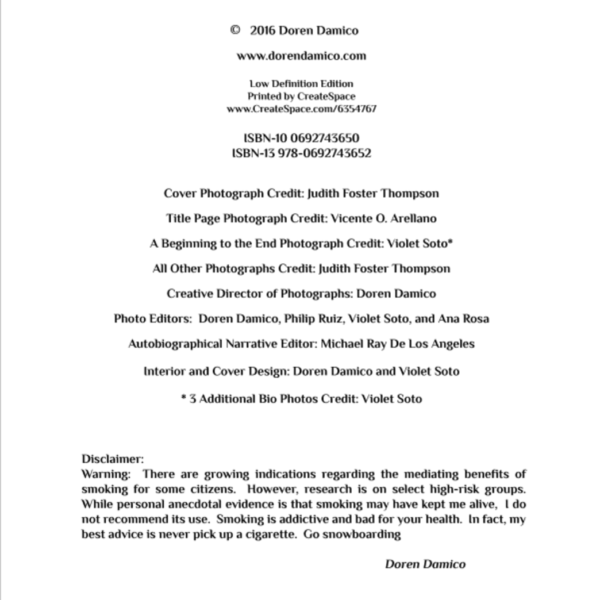 – Why mindfulness leads to quitting. – How to exercise forgiveness. – How to rewrite an authentic life. – Why you should scream if you want to. Have you ever wondered why people smoke, even when knowing the dangers? 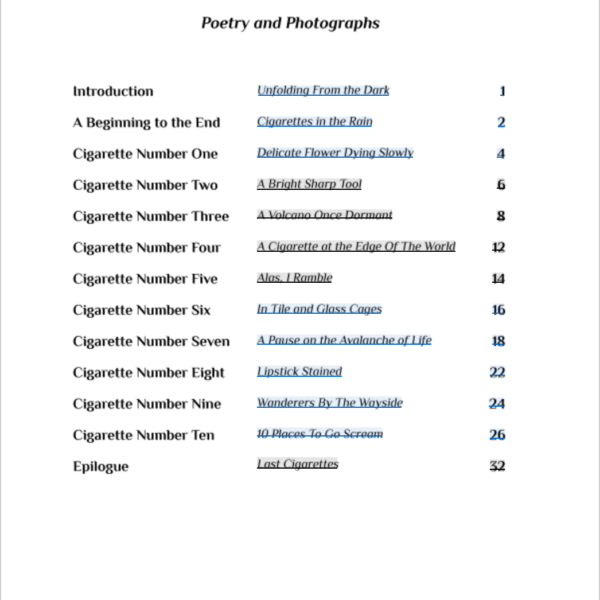 Can cigarettes mediate trauma? 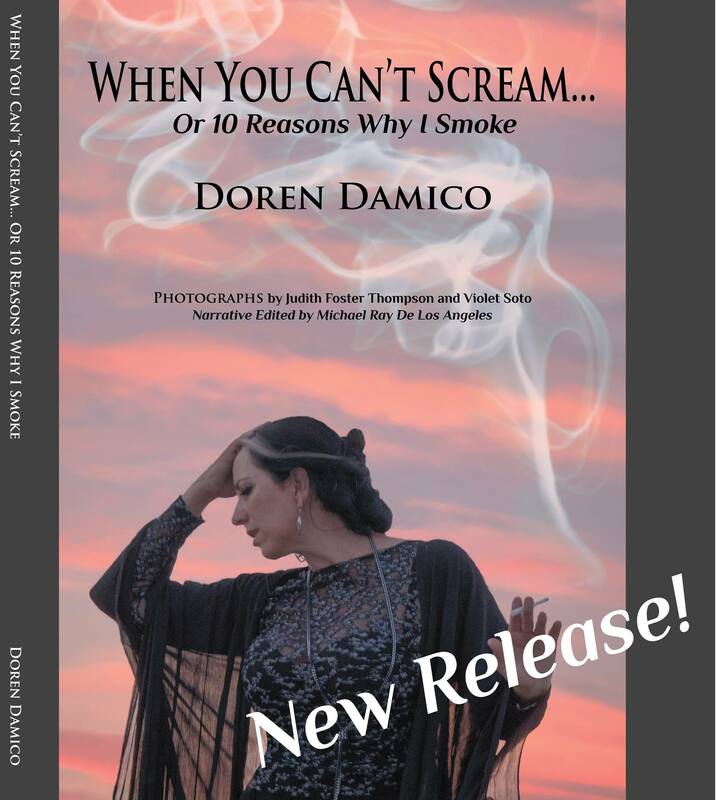 In When You Can’t Scream…Or 10 Reasons Why I Smoke, you will find a candid story of how my screams were shunned, silenced and sequestered by society, and how I’ve chosen to cultivate compassion in a riotous world. 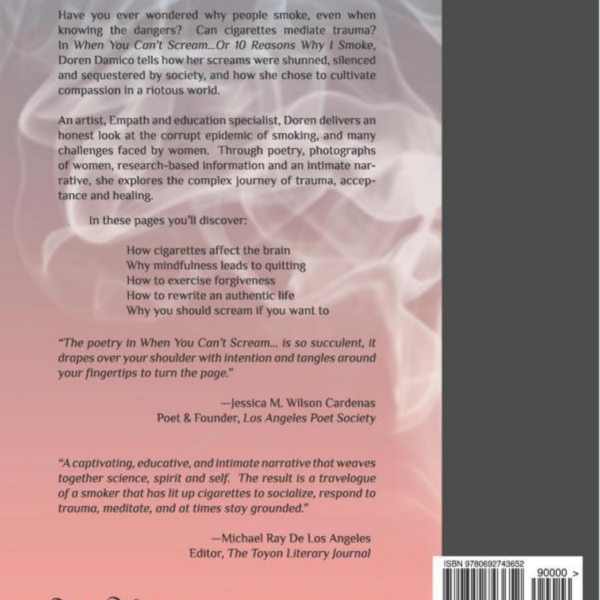 The book also delivers an honest look at the corrupt epidemic of smoking, and the many challenges faced by women. 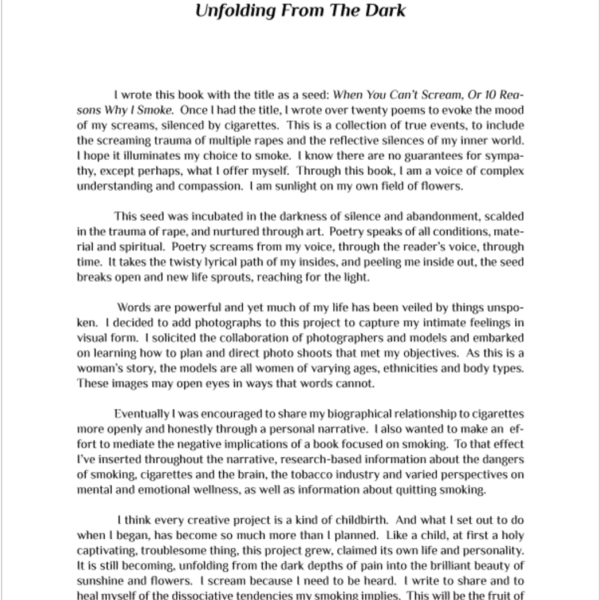 Through poetry, photographs, researched information and an intimate narrative, explore my complex journey of trauma, forgiveness and healing. 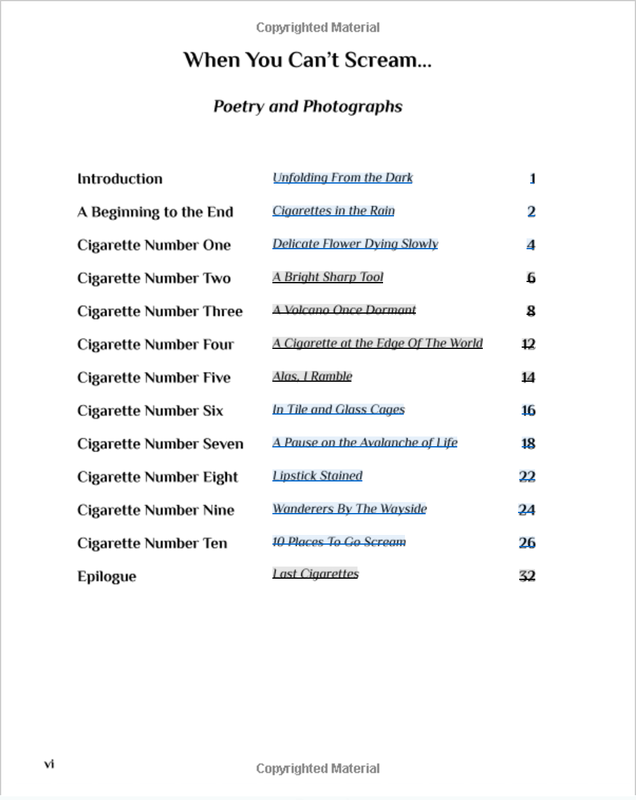 This is a unique collection of poetry, photography, memoir narrative and information about smoking and the tobacco industry. You’re world view will forever be altered by stepping through the door of this book. Have you ever wondered why people smoke, even when knowing the dangers? 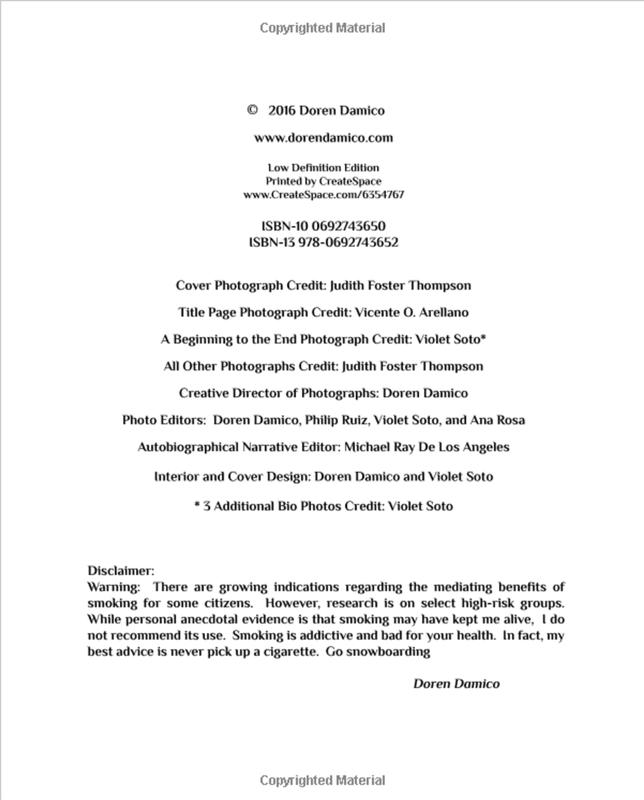 Can cigarettes mediate trauma? 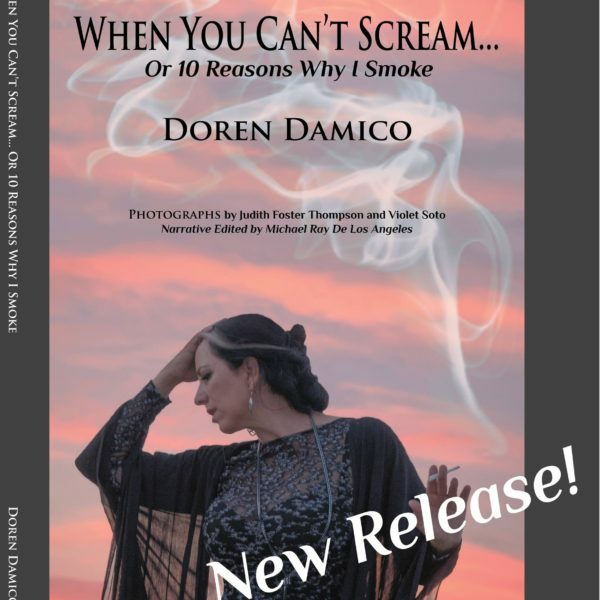 In When You Can’t Scream…Or 10 Reasons Why I Smoke, Doren Damico tells how her screams were shunned, silenced and sequestered by society, and how she chose to cultivate compassion in a riotous world. 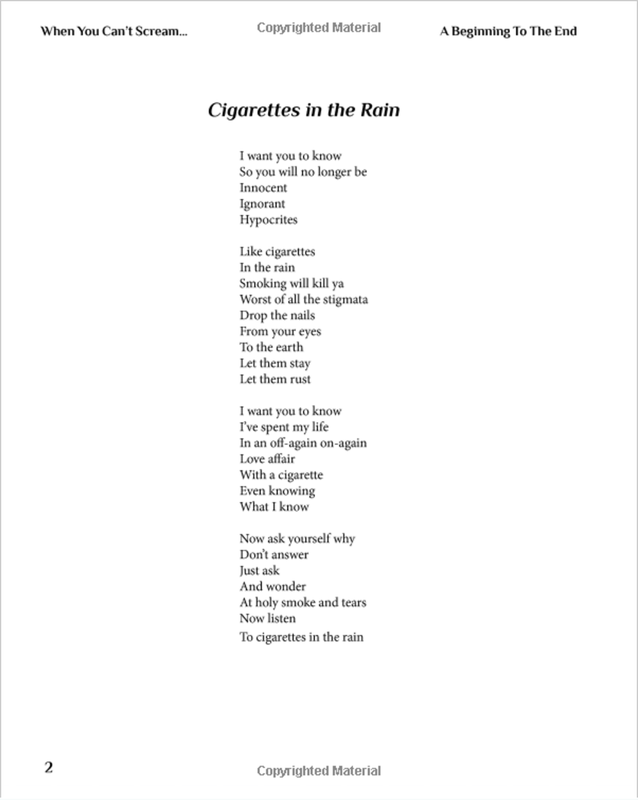 Doren is an artist, musician, educator and freelance writer based in Los Angeles, California. Born in Montana, she migrated to California with her parents when she was 3 years old and has lived and ranged throughout northern and southern California. Doren began collecting poetry and short stories in original handcrafted books. She has published poetry in several anthologies, the most recent: “Coiled Serpent: Poets Arising from the Cultural Quakes and Shifts of Los Angeles” by Tia Chuchas Press; and “2016 In The Words of Women International Anthology”, Yellow Chair Press. 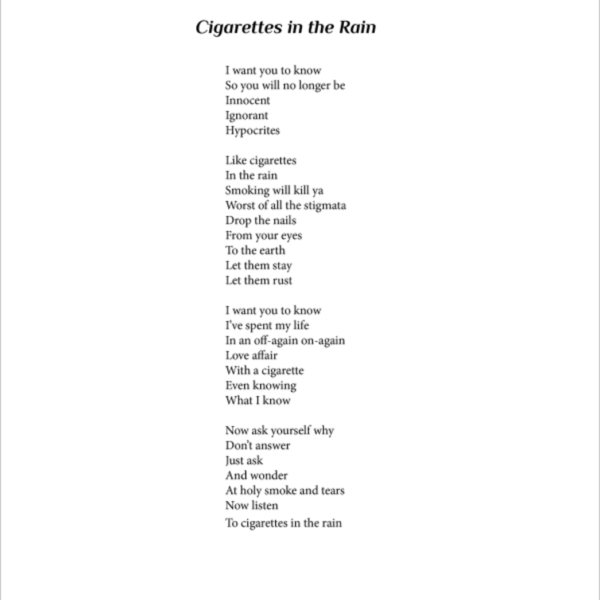 “When You Can’t Scream… Or 10 Reasons Why I Smoke” is Doren’s first solo multiple print work. A life-long lover of music, Doren discovered jazz in her early 20’s and went on to earn her BA in Music with a jazz emphasis from Sonoma State University in 1995. In addition, she holds both general and education specialist credentials from California State University Northridge, and has worked for over 26 years as an educator and consultant. Doren is an avid reader of many genres and a life-long fan of science fiction. When her childhood Star Trek play group wouldn’t let her be Spock because she was a girl, she vowed then and there, to go where no man has gone before. Upcoming projects include a science fiction series with a female protagonist, a children’s book and an educational handbook on her AIM (Accelerated Interactive Metacognition) technique. Follow Doren’s blog, Many Windows, One Doren (dorendamico.com), to read more about her unique perspective on topics such as education, music, poetry and science fiction.